Today thousands of companies worldwide provide the Web Hosting services. It becomes very difficult to choose one. The company provides a lot of attractive offers that make things more difficult. Even big Companies like Godaddy also provide Web Hosting renewal Coupon. So we came here with the certain points that can help you. Before selecting your web hosting provider, you should clear few points. 1) Static/Dynamic – What kind of website you are planning for. Are you going to make a simple HTML website or you are going do some coding with PHP or ASP? If you are doing coding, Then you may need Data Base like MYSQL.Your website has pages which will change every day or you have some query pages. You have to decide what kind of presence your website should have. 2) Platform– Right now there are two platforms which are Linux and windows. An HTML website will run fine on both. But when come to coding Linux is preferred by open source coding. Windows is preferred by it’s on coding language like ASP.NET. You have to decide which platform will suits you best. Linux is less expensive with a lot of support. Windows is licensed based on quality coding. 3) Reach– The audience you want to reach. Global or limited to a country. You have an idea of this, You want a website that targets to a country, then your server preference location should be that country. But the major case you will find the website hosted in the USA as they provide the world class hosting at affordable price. 4) Recourse– There are a lot of resources that you need while running a website. Like hard disk, processing power, bandwidth, OS and much more. These depend on many factors. A static website with 10-15 pages, few images may take a space of upto 200 MB only. So small website need minimum resource and bigger website may take need more resource. 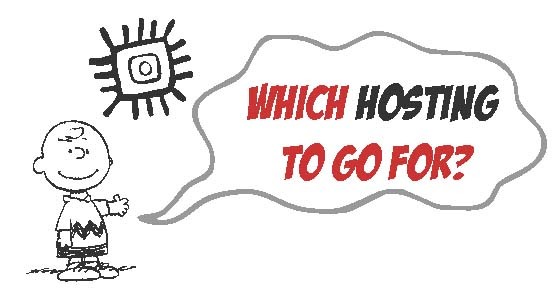 Above are the main factors which you should know before choosing a Domain hosting company. Some people which are technical also look for SEO advantage of web hosting. But it is very difficult to choose the web hosting companies. So here are the few points you should go through before choosing one. 1) Attractive offers like $1 web hosting, Free Domain and much more will attract you. But many things are kept hidden for that you should read terms and conditions. You can call support and anything that they promise, you should take in an email in writing. This will help you on long terms. 2) You should know all major limits that are applied to you like the number of users at a time or process. 3) You should also know the limitation of offers because at the time of redemption of offer you may come to know that it is valid for a specific country only. Attraction is part of sales. Nowadays in a single hosting package, you will get many types of attraction and add-ons. But before that, you should check the basic need that meeting or not. Most important advice, go for short term plan in starting which help you to experience. If you find all thing good then you can buy for a longer term. You can also save a lot of extra bugs through Web Hosting Coupons provided by www.webtechcoupons.com.